Costa Rica can be considered as an area that is equipped with a very diverse real estate market. The real estate market that prevails in this area has the potential to cater to the needs of everyone. From bare lots and farms to fully furnished condos and homes, you can find beautiful properties in Costa Rica at a great price. Costa Rica also offers excellent opportunities for the people who are planning to invest in development projects. Even though the building costs are relatively equal throughout the entire country, the value of land has a significant variation based on its location. 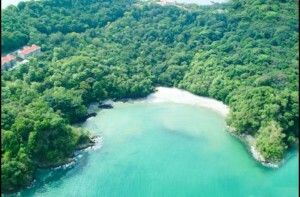 The northwest region of Costa Rica is known as the Gold Coast of the country. If you purchase a home in this area, you will get the opportunity to experience a stunning view of the ocean. However, the prices are extremely high and you will need to spend about half a million dollars to purchase a 5000 square meter lot. You will be able to purchase a lot for a much cheaper price in the Southern Pacific coastal areas including Dominical, Uvita, Ojochal and Hatillo to name a few. On the Southern Pacific coast you will get views that are just as spectacular plus you will get large green mountains with plenty of wildlife and empty beaches to explore! Costa Rica is a hotspot for tourist and it has created a tremendous impact on the real estate industry of this area. You can find an excellent variety of available properties that range from residential homes, commercial lands to fully furnished luxury estates that come along with excellent views of the ocean. 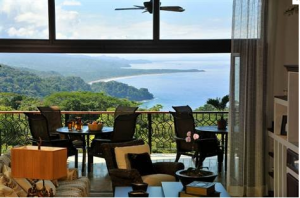 Costa Rica has got everything for the real estate seekers including vacation rentals, exquisite condos, mountain properties and farms . Plenty of reasons are available out there for the people to purchase a home and settle down in Costa Rica. Costa Rica is known as one of the best destinations outside of the United States for retirement. The excellent warm weather that can be found throughout the year has played a major role behind the above mentioned fact. The environment that can be found in Costa Rica is serene and it is ideal for raising families. 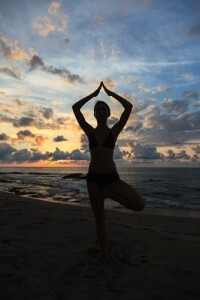 People who live in Costa Rica are quite friendly and they have a positive attitude towards the lifestyle. Foreigners who live in Costa Rica have the same rights as locals. People who live in Costa Rica will be able to experience excellent health care services at a very low cost. Moreover, it is quite easy to qualify as a retiree in this area. In other words, the Pensionado Program will only ask you to provide $1,000 per couple per month from the pension, disability or social security. The cost of living in Costa Rica is low when compared to other parts of the world. When it is paired with the excellent health care services and beautiful surroundings, Costa Rica will become one of the best destinations outside of the United States for the people to settle down. You can easily look for real estate for sale in Costa Rica through our website and choose the ideal destination to settle down.